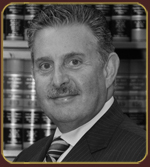 Criminal Defense Attorney in New York, Irwin G. Klein, a former criminal prosecutor. Represent both corporations and individuals accused of violating Federal and State laws. IRWIN G. KLEIN holds a B.S. degree from the University of Wisconsin-Madison and a J.D. degree from Vermont Law School, having graduated as a member of the Law Review. Established in 1940, our boutique law office has been representing a wide range of clients, assisting them with both their business and personal needs. Since the early 1980's with the addition of Irwin G. Klein, a former criminal prosecutor, we have been able to offer an experienced and credentialed criminal defense attorney in New York, to represent both corporations and individuals accused of violating Federal and State laws. Our client's needs and goals are our primary focus. 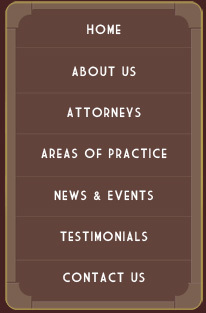 Obtaining the best possible result for our clients at a fair and reasonable cost is our goal. We are able to adjust to shifting situations rapidly to save our clients time, money and stress. We adhere to the highest professional ethical principles. People procrastinate and often avoid proper estate planning. However, obtaining professional assistance in advance can avoid many pitfalls and problems and puts you in charge of your finances and the disposition of your assets. Especially in the current economic climate taxing authorities have become very aggressive in their collection practices. These practices can have civil and criminal consequences for the taxpayer. If you have been experiencing problems in this area you may need legal assistance. Help is just a click away.